hd00:22Panning time-lapse of mountain river in fog. 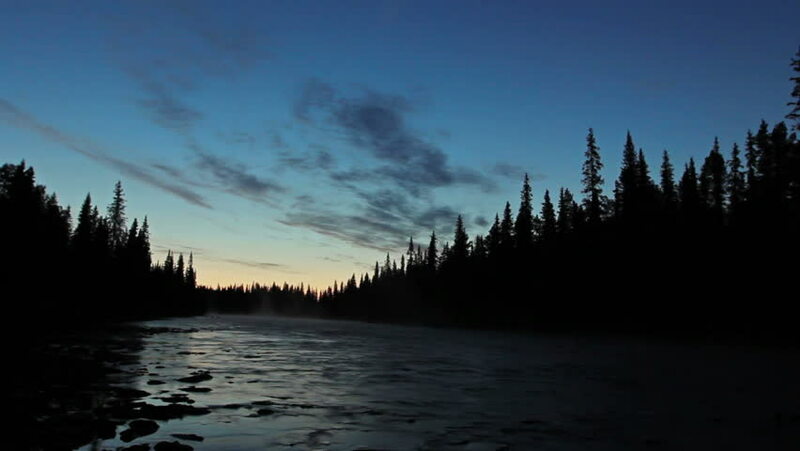 hd00:12Sweden, a beautiful mountain river at night, overlooking the mountain, rocky, surrounded by forest. In blue colors, sunset, north. hd00:08Sweden, a beautiful mountain river at night, overlooking the mountain, rocky, surrounded by forest. In blue colors, sunset, north. hd00:20Movement on a boat near the coast. Forest, bushes, reeds. Blue sky and clouds. 4k00:19Punggol Reservoir/Singapore- 6 Feb 2018: A bank level shot of the orange sky in the setting sun.